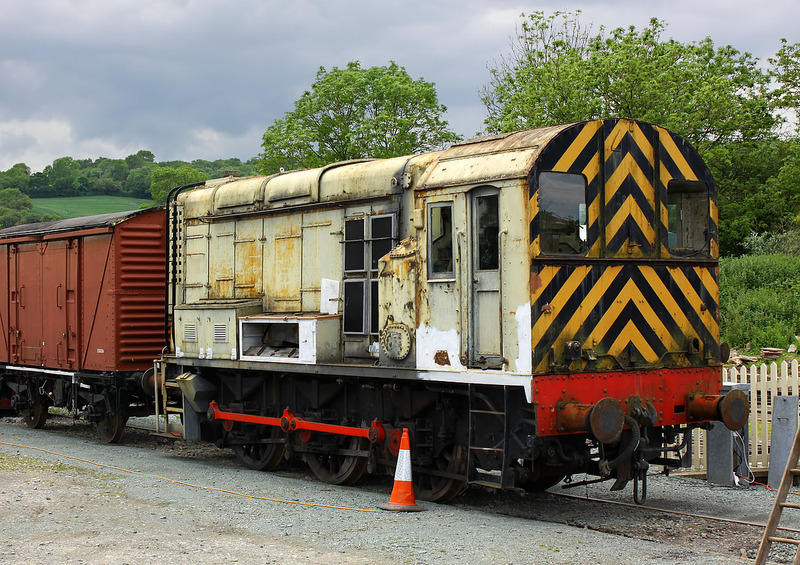 D3019 stands at the Cambrian Heritage Railway's site at Llynclys on 4 June 2012. This is one of the Class 08s that was withdrawn prior to the introduction of TOPS renumbering. It was a close run thing however, as the number 08012 was allocated, but the locomotive was sold to P. D. Fuels Ltd at Gwaun-cae-Gurwen in December 1973, just before the new number could be applied.